The Indian Institutes of Management through their tough selection process select the best lot of students for different coveted IIM programmes. They shortlist students on the basis of Common Admission Test (CAT), and later finalise admission on the overall performance of group discussion and a personal interview. CAT is the gateway for admissions to all 20 IIMs, each having their own admission criteria to admit best from thousands of aspirants who apply each year. The test is conducted by one of the IIMs every year on a rotational basis. This year CAT was conducted by IIM Bangalore on December 4 in two slots, and the result was announced in the second week of January 2017. Soon after the announcement of the results, IIMs are conducting their admission process. Let us now look at the IIM Admission Criteria in detail. Candidates are first shortlisted on the basis of the CAT cut-off percentiles, sectional as well as overall, along with past academic record and work experience. After the shortlist, the candidates are called for WAT- PI rounds conducted by each of the IIMs. The selection at this round is based on the performance at each stage of the round with assessment on past academic records, work experience, co-curricular activities and diversity factors (if applicable). Each parameter is assigned a particular weight-age on the basis of which the final merit list is prepared. The parameters and their weights vary with each of the IIMs. Some IIMs include CAT score as a parameter for assessment during both the shortlist stages of the selection process. The six new IIMs, namely IIM Ranchi, Raipur, Rohtak, Trichy, Udaipur, and Kashipur conducts a Common Admission Process (CAP) wherein shortlisted candidates have to participate in common WAT and PI rounds. However, the merit list is declared separately by the IIMs. Last year, i.e. for the admission in 2015-17 batch, the CAP round was conducted by IIM Udaipur. 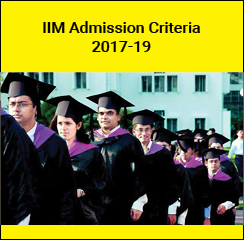 As the IIMs have announced their selection process, let’s start with each of the admission criteria of 20 IIMs for the academic year 2017-19. IIM Ahmedabad: This year the IIM-A officials have drastically reduced their minimum CAT cutoff under all the categories to shortlist students for their PGP selection process. The overall CAT cutoff required for a general category student to get shortlisted has been reduced to 80 from last years’ 90 percentile. Apparently, the reduction in CAT cutoff by one of the top IIMs indicate towards a difficult CAT paper this year, and also that other IIMs may follow the same. Not only the minimum CAT cut-off for the general category has been reduced, the cutoff for Scheduled Castes (SC), Scheduled Tribes (ST), Non-creamy Other Backward Castes (NC-OBC) and Persons with disabilities (PWD) have been reduced to 70, 60, 75, and 70 respectively. IIM Bangalore: The Indian Institute of Management Bangalore (IIM B) has announced the admission criteria for its Post Graduate Program in Management (PGP) for the batch of 2017-19. This year, 40% weightage will be given to CAT score for short-listing. Last year CAT was given a weightage of 20%, which has been doubled this year. Besides increasing the weightage to CAT 2016 scores, the CAT 2016 cutoffs for the SC, ST, and DA category candidates have been increased. IIM Calcutta: This years’ CAT cutoff has remained similar as that of last years at IIM Calcutta. The overall CAT cutoff required by general category student is 90 percentile. Candidates are shortlisted on the basis of CAT scores. Final selection is based on the CAT score, performance in WAT-PI, past academic records, work experience and academic and gender diversity. IIM Lucknow: The CAT cutoff under different category remains same as that of last years at IIM Lucknow. However, the component score weightage of different factors for shortlisting has increased to double. The composite score of CAT for Shortlisting for further selection stage is 60, whereas, last year it was 38. Similarly, the composite scores of class XII, graduation, work- experience, and diversity factors for PGP have also increased. The overall shortlisting process remains a two-step process, including a written ability test (WAT) and a personal interview (PI). IIM Indore: The screening cutoff for CAT remains same as last year for IIM Indore. In the final selection procedure, maximum weightage is assigned to the Personal Interview round. Last year, CAT performance was not considered for generating the merit list, this year it has been introduced. While Gender Diversity factor is considered for shortlisting, there is no weightage for this parameter in the final merit list generation process. IIM Kozhikode: The Indian Institute of Management Kozhikode has announced its admission criteria for the Post Graduate Programme (PGP) batch of 2017-19. The IIM will follow a two-step admission procedure which includes shortlisting candidates through CAT scores and final selection on the basis of performance in Personal Interview (PI), Group Discussion (GD), and Writing Ability Test (WAT). IIM Shillong: Unlike other IIMs, IIM Shillong do not release the overall CAT cutoff. The institute releases the sectional cutoffs and past academic cutoffs. The final selection at IIM Shillong takes place on the basis of the scores of CAT and WSAT and Personal Interview performance. IIM Ranchi: According to the admission criteria for PGDM and PGDHRM programmes at IIM Ranchi, candidates are shortlisted on the basis of CAT scores. The overall process is same as last year. Candidates are shortlisted on the basis of their CAT scores and academic profile. Final selection is based on the performance in CAT, WAT-PI and profile. Highest weightage is assigned to CAT and PI scores (30 per cent) for the PGDM programme and to PI score (35 per cent) for PGDHRM admission. IIM Rohtak: As per the admission criteria of IIM Rohtak, the overall admission process is same as previous years. The weightage assigned to the CAT score for final selection has been reduced by 10 per cent. Other factors considered for merit list generation include Past academic records, work experience and Academic & Gender diversity. IIM Raipur: The admission criteria for IIM Raipur has remained same as last year. The CAT 2016 cutoff for General category candidates is 90 percentile. For final selection, maximum weightage (38%) is assigned to candidate profile, which further includes factors like academic profile, work experience and academic and gender diversity factors. The other criteria for final selection include CAT score (32%) and WAT-PI rounds (30%). IIM Udaipur: The admission criteria is same as last year with no changes in terms of cutoff or parameters and weightages assigned to them. Apart from performance in CAT 2016 and WAT-PI rounds, the factors which are considered for generating merit list include academic profile, work experience and diversity in gender and academics. Maximum weightage is assigned to CAT, which is 55% followed by profile and WAT-PI rounds respectively. IIM Kashipur: As per the admission criteria of IIM Kashipur, candidates are shortlisted on the basis of CAT performance and the CAT 2016 cutoff of this institute is 90 percentile. Shortlisted candidates have to appear for Common Admission Process (CAP) rounds. For the final selection, 40 per cent weightage is assigned to WAT-PI rounds and 42 per cent weightage is given to CAT performance. Other parameters include past academic records, work experience and diversity (academic and gender). 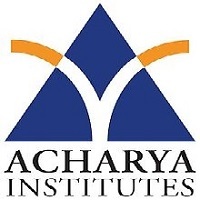 IIM Trichy: IIM Tiruchirappalli or IIM Trichy admission criteria has remained same as last year where the CAT cutoff for General category candidates is 90 percentile. However, the cutoff for Differently Abled Persons (DAP) has reduced by five per cent. The final selection process assigns maximum weightage to CAT score, which is 50 per cent followed by the WAT-PI rounds. Unlike other IIMs, IIM Trichy does not give weightage to Class X and Class XII scores. IIM Bodh Gaya: The criteria have been modified compared to last year in terms of the cutoff and final selection criteria weightages. Compared to last year, the overall CAT cutoff has decreased. On the contrary, the sectional cutoffs have increased for all categories. The weightages for the final selection criteria have been also reduced by 50%. The admission procedure involves two steps, shortlist of candidates based on CAT 2016 percentile followed by WAT-PI rounds. IIM Visakhapatnam: IIM Visakhapatnam conducts admission criteria in three phases. This year, although the CAT cutoffs have remained same as last year, the weightages assigned to other parameters have increased compared to that of last year. The weightage assigned to WAT-P scores is 40 per cent. IIM Sirmaur: Mentored by IIM Lucknow, IIM Sirmaur selects students based on ther CAT percentile, past academic records, work experience and academic and gender diversity factors. CAT score carries the highest weightage of 50 per cent. IIM Jammu: The admission criteria of IIM Jammu is similar to that of IIM Sirmaur. there will be no GD/WAT PI rounds for final selection and merit list will be generated on the basis of CAT score, past academic records, diversity among others. Compared to last year, the weightages for final merit list parameters have increased and the total weightage has doubled from 50 to 100. IIM Amritsar: The admission process of IIM Amritsar is conducted in two phases. In the first phase, candidates are shortlisted on the basis of CAT scores and the institute cutoff, in the second phase, the shortlisted candidates have to appear for the WAT/CT and PI rounds. Compared to last year, the CAT cutoff for IIM Amritsar has changed both in terms of category and sections. CAT score is given highest weightage in final selection process, which is 50 per cent. IIM Sambalpur: IIM Sambalpur has announced the CAT 2016 cutoff for admission to academic year 2017-19. So far, only the shortlist criteria has been announced and the final selection criteria will be released later. While the cutoff for General category has remained same as last year, the cutoff for other categories have undergone changes. IIM Nagpur: Admission criteria of IIM Nagpur has remained same as last year in terms of CAT cutoff and final selection process. The final admission offer will be made on the basis of CAT scores, Past Academic Performance (PAP) and Work Experience. CAT scores are given highest weightage, i.e. 50 per cent for computing the final selection list.